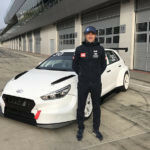 R-Motorsport will seek permission from ITR to conduct testing once the 2019 DTM season has started with their all-new Aston Martin Vantage DTM race cars. The Austrian team is making its series debut this season with four Aston Martin Vantage DTMs developed by HWA. 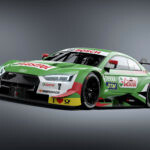 The first car was finished in a rush to take to the track for the first time during the first official DTM tests at Jerez earlier this month. The team will again take to the track at Estoril on March 27-29th ahead of the final official tests at the Lausitzring on April 15-18th. 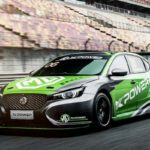 The new homologation period for the Class One regulations will be frozen from the 1st of April, after which only changes related to improving reliability will be permitted. 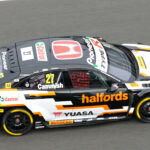 BMW and Audi have, however, already completed six days of testing with their new machinery at Estoril and Jerez back in December, which R-Motorsport states gives them an advantage. 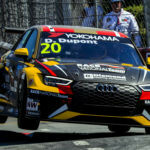 The request to test once the season has started would have to be approved by DTM promoter ITR, formed by the DMSB (German ASN), Audi and BMW. 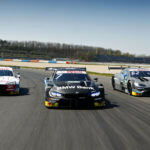 R-Motorsport announced their arrival to the DTM at last year’s season finale, with an initial target of competing at selected events during the 2019 season. 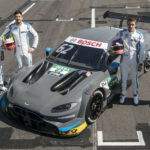 However, after BMW failed to secure a customer team, R-Motorsport accelerated the development of the Vantage DTM, announcing at their February launch that they would enter four cars for the season opener at Hockenheim, May 3-5th.